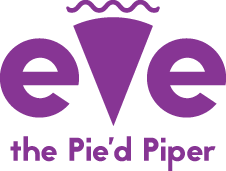 Eve the Pie'd Piper specializes in hand-crafted pies, and there's a wide variety from which to choose. Eve the Pie'd Piper also offers a selection of quiches, several cheesecakes, and specialty baked goods. Baking is my passion, so give me a try, if you're hankering for something you remember from your own family, or just want to try something new. Any of my products may be customized to fit your dietary needs (such as low sugar), or ingredient preferences. Order till end of the day, Wednesday, 4/17 for delivery Friday, 4/19 or Sat., 4/20. - 9" Smoked Ham, Swiss, & Cheddar Quiche $22 (or $24 for GF crust). Types: Chick Shortbread, Dk Choc Chip, PB, Snickerdoodle, Sugar. BONUS: 1 free reg. or GF shortbread chick (GF too!) with each 9" pie/quiche ordered. Crusts: Most pies are made with my crispy single or double crust, unless noted otherwise. I use expeller-pressed canola oil, which is more expensive, but worth it for health and taste, I believe. Its origins are a type of rapeseed, but bred to be low in erucic acid. Canola oil is the lowest in saturated fats at just 7 percent, but contains mostly monounsaturated fats, nearly as much as olive oil. It is in high in ALA (alpha-linolenic acid) which is an omega 3 fat, with similar benefits of fish and fish oil, but NO fishy taste! I choose expeller-pressed oil because no solvents are used to release the oil, & it is less processed, so the result is more nutrients and antioxidants left intact. Most regular oils are processed by using potentially harmful chemical solvents to release the oil, such as hexane, after crushing and heating. Supposedly all solvent is removed, but one never knows. Gluten-free crusts: I have experimented with several recipes, and found one that my gluten-free customers love. As it uses alternate flours which don't hold together well, I use both butter and egg. It has a flaky consistency similar to my regular crust! These do incur an upcharge, due to the alternate flours and ingredients, $2.00 for a single crust, and $4.00 for a double crust. My quiches go quite well this crust, and I have just come up with a recipe using potatoes for a savory quiche crust. I also have several pies that automatically include almond flour crusts. Just ASK, and I'll be glad to discuss! Fillings: For fruit fillings, I try to pick as much local, Ohio produce as possible, so I'm a frequent 'flyer' at central and north central Ohio orchards and patches. One just can't match the fresh-picked flavor of orchard apple varieties and peaches, and all of the local varieties of blueberries, strawberries and raspberries. I will typically freeze large quantities of berries during picking season, so I have them year-round. For apples, I seasonally pick bushels of several different pie apples, in September and October, so they are in limited quantity in the fall. I use as little sweetener as possible to let that beautiful, fruit flavor shine through, and natural thickeners, such as flour, arrowroot, and tapioca flour. For custard and nut pies, I make all from scratch, using fresh milk, coconut milk, or almond milk, eggs, pure vanilla extract, and generally, alternate thickeners such as arrowroot, and tapioca starch. Sometimes, I will add some cornstarch, as some pie custards need the setting properties of at least a little cornstarch. 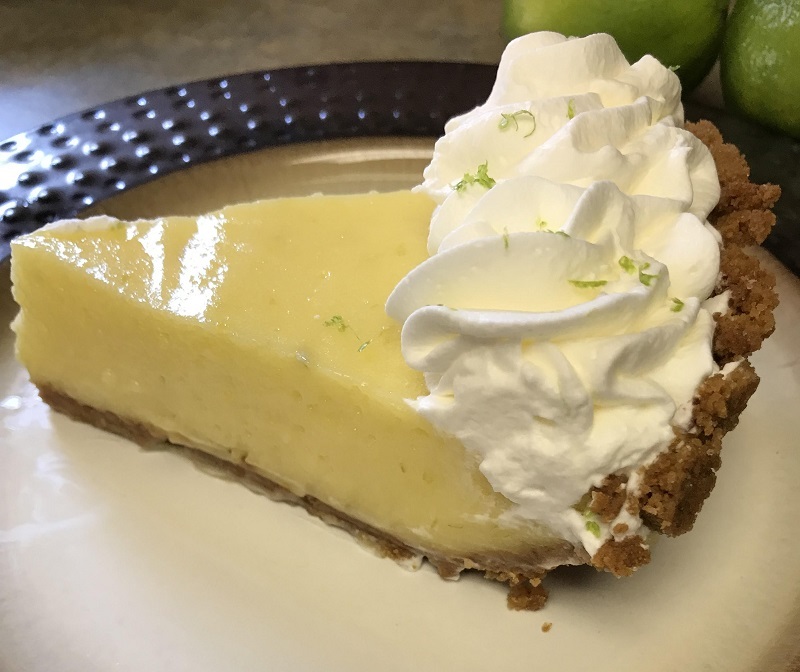 I do not add corn syrup (though some graham crackers used for crusts may contain a small amount), preferring either honey, real maple syrup, or a combination of the other natural sugar ingredients within each pie.